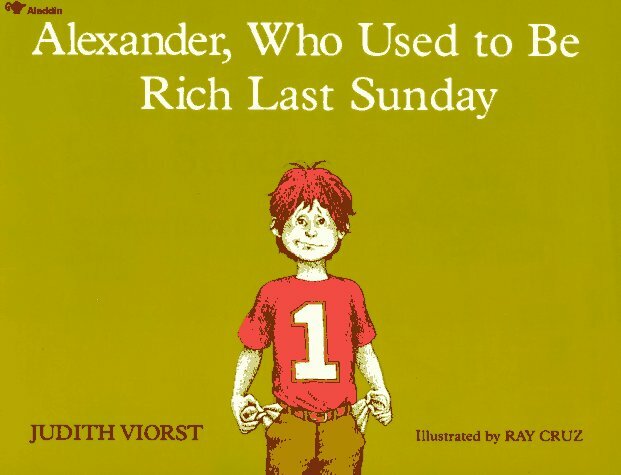 Math Mentor Text - Alexander, Who Used To Be Rich Last Sunday, Freebie!! Happy Mother's Day to all of you! Whether or not you have children at home you know that as a teacher you are like a second mother to your students and you take them into your heart just like a mom does - loving them even when they drive you crazy. 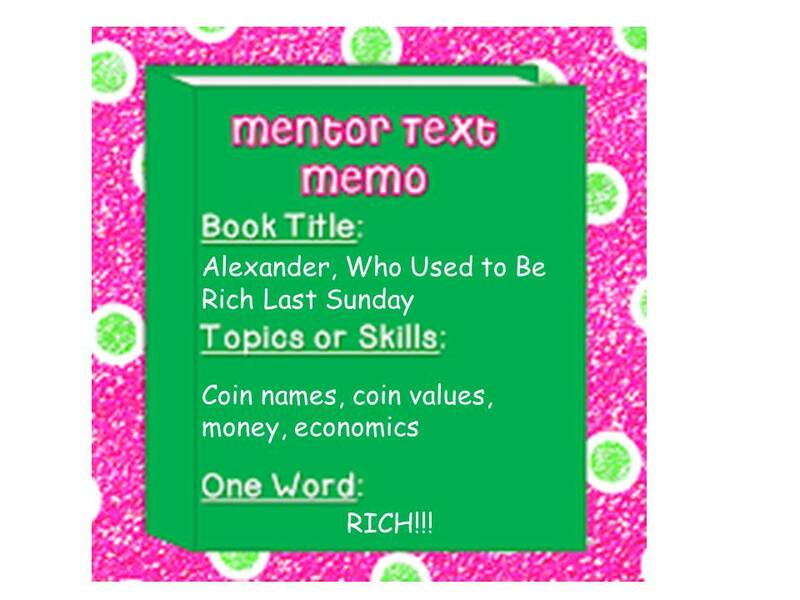 I am happy to be linking up with the amazing ladies over at Collaboration Cuties for their Mentor Text Linky. This week's theme is math mentor texts. 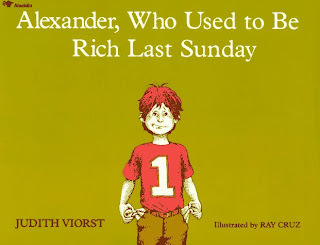 I am sharing the book "Alexander,Who Used to Be Rich Last Sunday" by Judith Viorst. I know that I shared one of her books recently, but what can I say I love them. 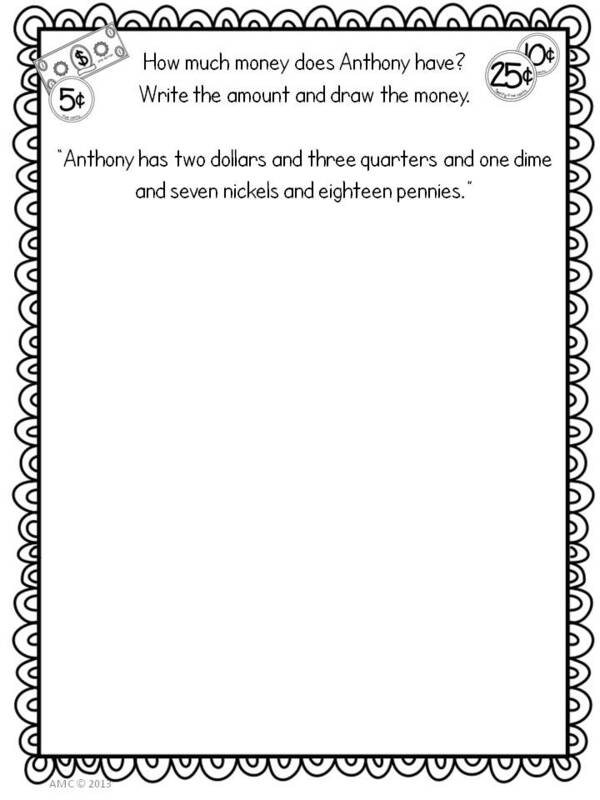 This is a fantastic book to use when introducing money, adding or subtracting money or even economics - the importance of setting goals and saving! 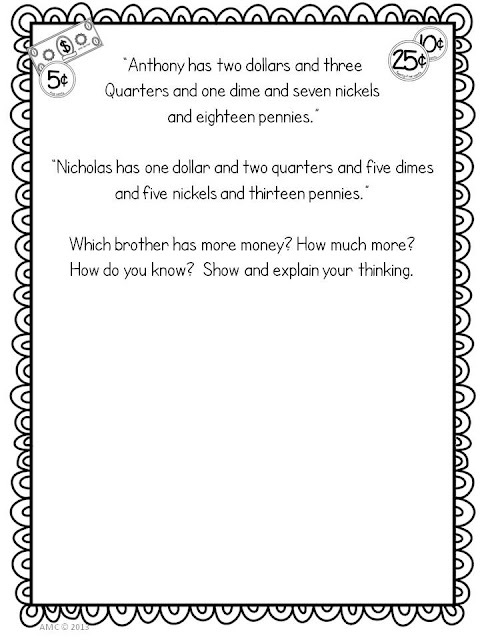 I use it as an introduction to money - a way to find out what they already know about the names of coins, the value of coins and just to get them talking about their own experiences with money - where do they get it, what do they like to spend it on, are they savers etc. 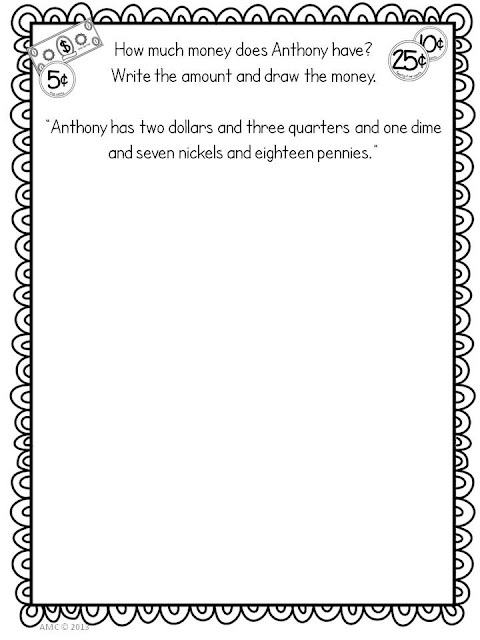 When googling the image of the book I found this blog post from Love2Learn2Day that suggests having your students write a letter to Alexander giving him advice on how to spend/save his money in response to Alexander's choices in the book. Love that idea!! I have made up a couple of worksheets to accompany this book - if you are interested in a free copy click here. There are a number of sheets from easy to a little more challenging. I think they would be great activities to leave for a substitute teacher. Be sure to check out all the other amazing books be linked up at Collaboration Cuties! 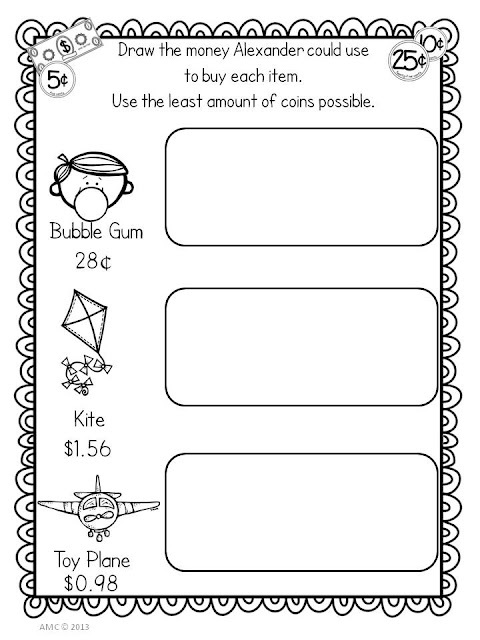 Be sure to check out all the freebies posted at Classroom Freebies to help you out on Monday! Great book! I linked up with a money themed text as well. 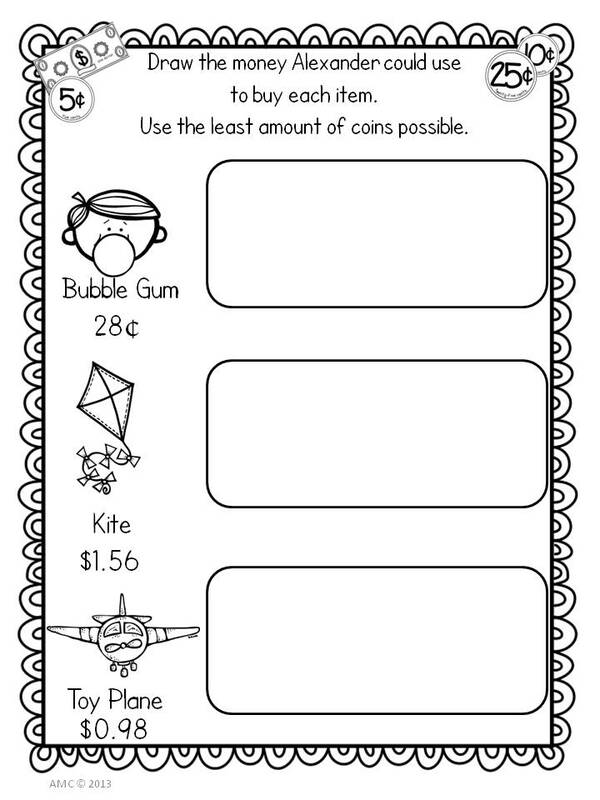 It takes sooo long and so many experiences for kids to become familiar with the value of money. My students still think 100 dollars is like winning the lottery! Thank you for the freebie! I am hoping I get to teach Math next year, but I don't know what grade level, yet, so I am thrilled to download this. Thanks for the freebie! I just finished money but I'm going to file this away for next year. I love this book and others by Judith Viorst. Thank you for sharing on Manic Monday. Great book, and such a cute activity. I love the Alexander books. Thank you so much! I just picked up this book in Spanish:) It will be a great activity for my bilingual students. Yay! I love all of this! You are so good about having a ton of resources handy to go with your books! I love all of the Alexander books! Thanks for linking all of this up! Happy Mother's Day my dear friend! Thanks for the freebies!!! Wonderful ideas! !